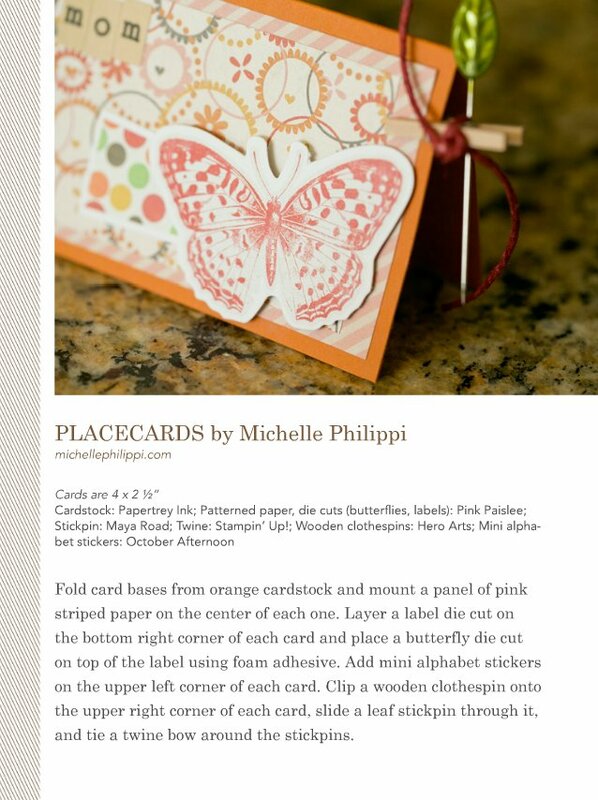 michellephilippi.com» Blog Archive » Butterfly Placecards. Posted by Michelle on March 4th, 2014 . Filed under: Pink Paislee, Published Work . Hey Hey it’s Fat Tuesday! It’s my holiday, y’all! I’m gonna eat ’til I pop. And I ain’t even lyin’. On the crafty side, I’ve got some placecards to share that I had published in the November issue of CARDs magazine. My daughter was absolutely tickled to see her name in print (or digital actually). 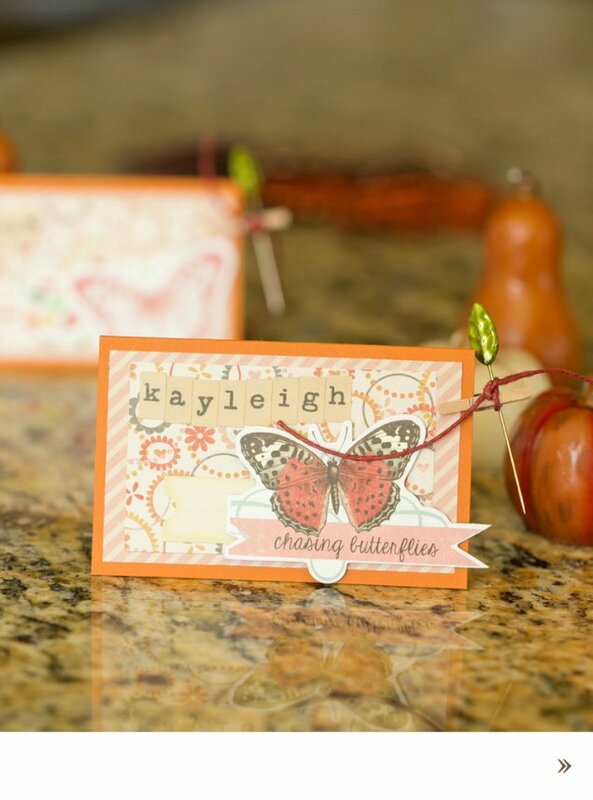 1 Response to Butterfly Placecards. Shoot . . . I missed Fat Tuesday? I hope there’s a Fat Wednesday as well! 😀 Pretty, pretty placecards, Michelle! Next time, make one that says “Jill” because I would be thrilled to see my name in print too! LOL!